Don’t forget ~I’ll be at Fantom Comics in Washington-DC/Dupont Circle on Sunday (May 28/2pm) presenting a short seminar about working as an artist in comics. I’ll be reviewing portfolios of aspiring artists afterwards. ; and it’s FREE! i240 drops today! Here are the pencils for the cover of the issue. 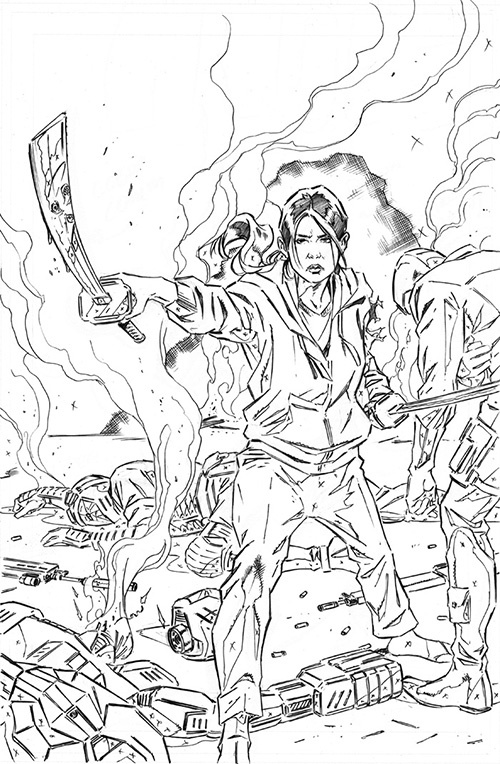 Check back in on Friday to see a”sneak peek” of the first few pages in pencils. See what I did there?